We have seen a lot about the Dodge Chalenger Demon via the teaser videos that have been published. Last time we talked about the race hardened parts to keep the car from breaking with lots of track use. 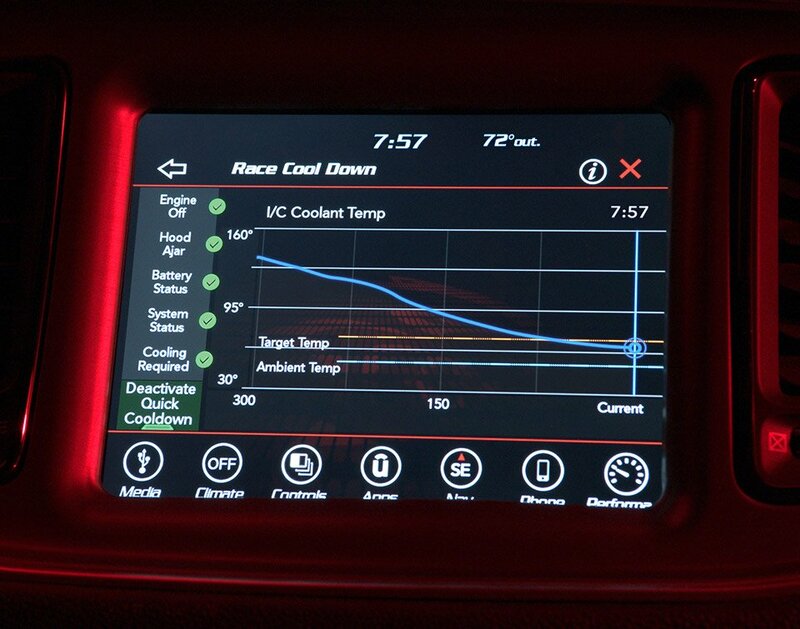 This time out, Dodge is showing off some of the cool stuff the infotainment system can do. Specifically the system has a specially-upgraded performance data page that shows all sort of stuff about how well the car is performing. The page shows things like reaction time, G-forces, 0-60 time, 0-100 time, eighth mile, and quarter mile times. The pages will also show off horsepower and torque. Other items important to racers include supercharger intercooler coolant temps, engine oil pressure, engine temp, coolant temp, transmission fluid temp, intake air temp, air-fuel ratio, and boost pressure. I know we’ve seen so many teasers already, but we won’t have to wait too much longer, with the official unveil of the Demon coming on April 11.